When relief workers bring used clothing to a refugee camp in Pakistan, ten-year-old Lina is thrilled when she finds a sandal that fits her foot perfectly - until she sees that another girl has the matching shoe. But soon Lina and Feroza meet and decide that it is better to share the sandals than for each to wear only one. 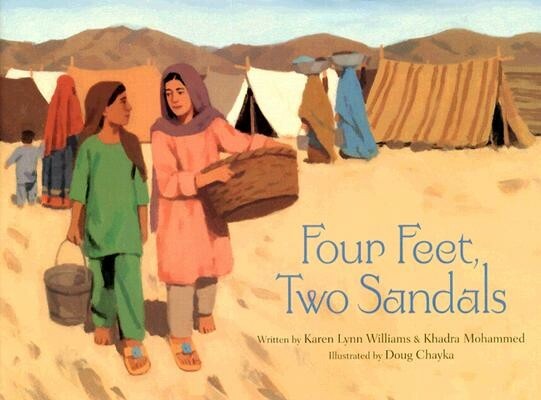 As they go about their rountines - washing clothes in the river, waiting in line for water, and watching for their names to appear on the list to go to America - the girls discover the true meaning of friendship and sacrifice. 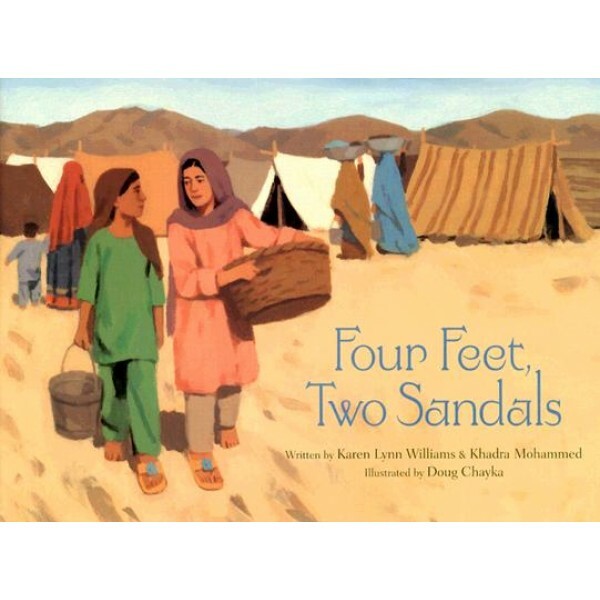 This book honors the experiences of refugee children around the world, whose daily existence is marked by uncertainty and fear. Warm colors and bold brush strokes are the perfect complement to this story of courage and hope.